Seventeen years after the Crux Virus wiped out most of the world’s population, Ross is doing what he can to keep his small community in what was once New Mexico safe. He’s made a habit of collecting survivors. They’re all family, especially Jenna and Dorian. Now, at thirty, Ross hopes to find a love of his own on supply runs, but his heart has long been snagged by his two best friends. Alone with his tangled emotions, Ross is about to discover that his friends have their own ideas about their relationship…and everything is about to change. Chase Hawthorne is on the run from a ghost. The shooting that took his little sister and scarred him left far deeper scars on his brother Tripp’s soul. Driven to pull up stakes and head for the most haunted place in Louisiana, Chase hopes to prove to Tripp there is no ghost of their sister beckoning from the afterlife. When they come upon upon a young woman fighting off raiders, the Hawthornes don’t hesitate to help the first female they’ve seen in years. Chase tries to ignore his instant attraction, hoping Tripp will feel something, too—and emerge from his frightening depression. Keera has been alone too long, and scarred, difficult Chase makes her feel things she never thought she’d feel again. Tripp may be the needier brother, but it’s Chase she wants. Letting people too close comes with risks. Both Keera and Chase must accept the possibility that there’s more to life—and love—than simple survival. I have been addicted to Worth’s writing since I first discovered her Kithran Regenesis series. When I found out she was starting a new post apocalyptic series I had to give it a try. When I finished reading the first installment, After the Crux, I had to ask if she was going to continue writing in this world. When she said yes, I waited rather impatiently for what would come next. I am pleased to say that I was not disappointed by my wait. 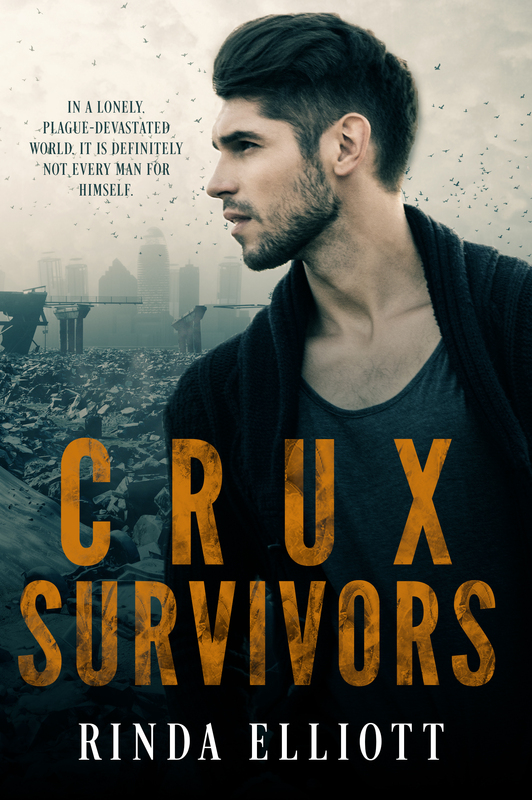 “I love, love, love this series (Crux Survivors) by (Rinda Elliott) Dani Worth. It’s real post-apocalyptic goodness. Just picture Walking Dead with all the great character development and gripping survival stories but without the zombies.” Fun full 5 star review here. For a novella and the first in the series, (Rinda Elliott) Dani Worth balances the world building, character development and romance perfectly – throwing a little action and humour in along the way, it is not pretty, it’s dangerous and they are constantly on a knifes edge, their lives and home could so easily be destroyed by one small mistake or bad decision. Yet another great story from Ms Worth. The emotional tension between the characters, the high stakes outside of their relationships, how they made it all work. Also the growing attachments between the other survivors and something left unresolved that I can’t wait to find out about in the next book. Once I started reading I couldn’t stop.